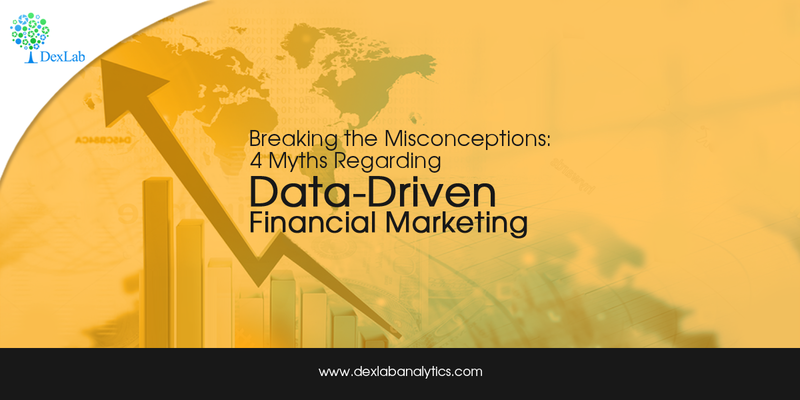 A majority of low-mid financial services companies toil under the wrong notion that owing to their capacity, size and scope, the complex data-driven marketing tactics are simply out of their reach – this is not true and frankly speaking quite a shame to consider even. Over the past decade, the whole concept of data analytics has undergone a massive transformation – the reason being an extensive democratization of marketing tactics. Today’s mid-size financial service providers can easily implement marketing initiatives used by dominant players without any glitch. While it’s partially true that there are certain restrictions on banking institutions when it comes to target consumers, based on income, age, ethnicity and other factors, marketers can still practice an array of tactics, both online and offline. Marketers can leverage a pool of data for online and offline marketing to formulate data models, keeping in mind the existing customers need and preferences. Once you have an understanding of their online behavior, how they use the data power to carry out transactions, these insights can be applied to attract new customers, who exhibit similar behaviors. It’s a fact, Millennials, especially wants to be aware about financial services and its associated products, and are keen to understand how can banks lend an additional support to their living and social life. Companies can start building relationship based out of it, while implementing data-driven marketing perspective into them. Corporate honchos and digital natives certainly maintain sprawling in-house database to boost marketing activities, but don’t be under the impression that mid-size institutions cannot leverage much from virtual datamart. The impressive SaaS-based solutions houses first-party data, safely and securely and offer you mechanisms that let you integrate with other third-party data, both online and offline. Datamarts let mid-size marketers achieve a lot of crucial task success. Firstly, you will be able to link online user IDs with offline data – this lets you derive insights about your current customers, including their intents, interests and other details. The most important thing is that it will usher you to build customer models that could target newer customers for your bank. A lot of conventional marketers are of the opinion data-driven marketing is a huge concept – time-consuming and labor-intensive. But, that’s nothing but a myth. Hundreds and thousands of mid-size companies develop models, formulate offers and execute campaigns within a 30-day window using a cool datamart. However, the design and execution part of campaigns need no time, whereas the learning part needs some time. You need to learn how to develop such intricate models, and that’s where time is involved. To ace on financial models, get hands-on training from credit risk analysis course online – DexLab Analytics offers superior credit risk management courses, along with data analytics, data science, python and R-Programming courses. In the end, all that matters is prudent marketing campaigns powered by data yields better results than holding onto these misconceptions. So, break the shackles and embrace the power of data analytics.